On Apple's MacOS X operating system the C++ programming tools are supplied as part of the official Xcode development environment. Until MacOS X version 10.6 (Snow Leopard) Xcode could simply be installed from the MacOS X installation DVD which came with every Mac, iMac, MacBook etc. It is usually contained in the "Installation extras" folder on the disc. In this case, no further download is needed and you can continue with the Xcode installation. With the switch to MacOS 10.7 (Lion) and the advent of more and more MacOS systems being build without DVD drive, Xcode is now supplied from Apple's online application store for free. On a Mac with a current version of MacOS X 10.6 (Snow Leopard) or higher this will start the Mac App store application and display the page for XCode. 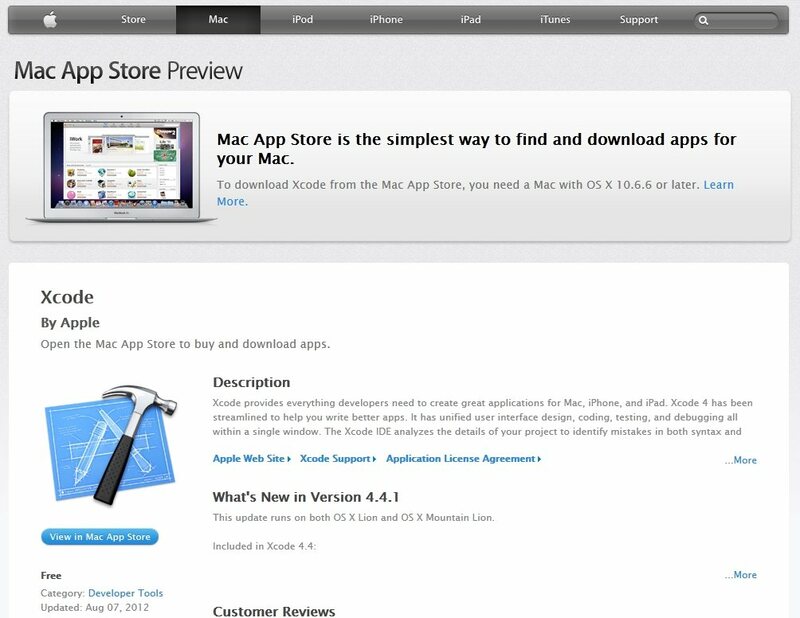 From the App Store page for Xcode, you can get Xcode by clicking on the "install" button. You may have to enter a valid iTunes / App Store account and password, but after that, download and installation of Xcode should start automatically. If you have a Mac with DVD drive and MacOS X system disk, you can start the installation by inserting the disk and opening the "Extras" folder on the disk. There you should find an installation program for Xcode. Just double-click on this program and follow the on-screen instructions. You should take care to write down the installation path for the Xcode tools because the older versions of Xcode usually install to a different directory than the current version for MacOS X 10.7 (Lion), typically a "Development" subdirectory right your systems standard harddrive. If you downloaded Xcode from the Mac App Store, the download should already have triggered the installation procedure. This is not very different from any normal application installation under OS X. Since version 5.2.1 of the Qt SDK, mobile platforms like smartphones and tablets are fully supported as target platforms. At the moment, Digia is working on a single, unified Web presence that combines the functionality and content from the official Digia Qt website with that of the open source Qt project website. The new presence which will replace both sites in the future can be found under http://www.qt.io/. 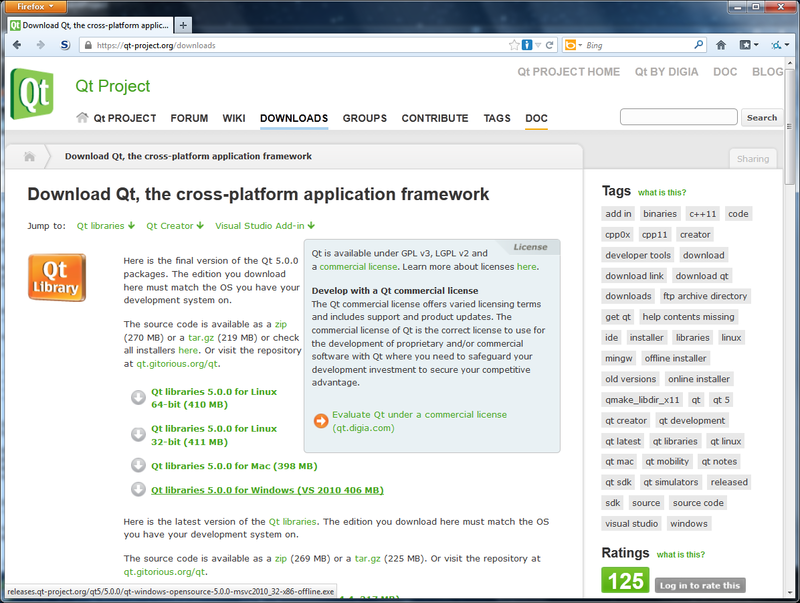 There we can download the Qt SDK (software development kit) for Windows, Linux and MacOS by using the links on the download page https://qt-project.org/downloads. In the newer versions of MacOS X like version 10.9.5 (codename "Maverics") starting the downloaded installer application will lead to an error because the application was not downloaded from the official Mac App Store. In order to start the installer, you have to hold down the "CTRL"-key (control key) on your keyboard while clicking on the installer file. 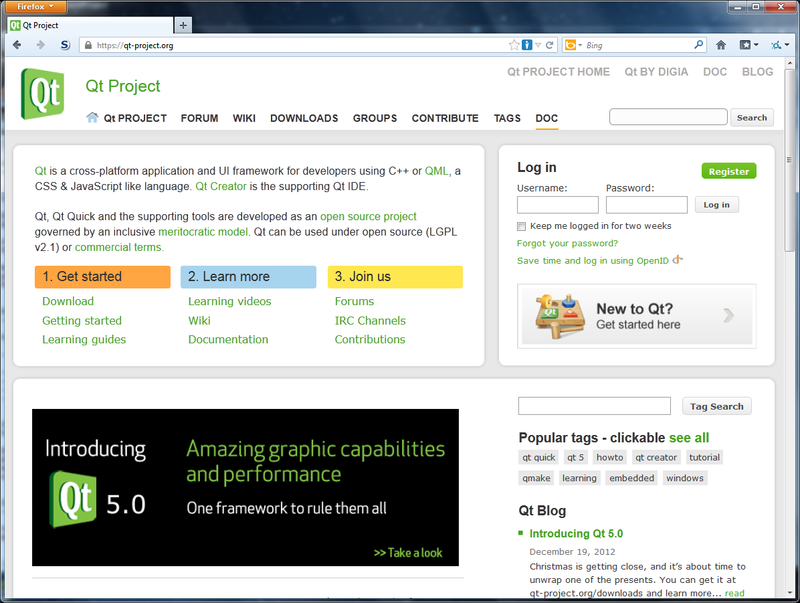 Then select "open" from the appearing pop-up menu. After this, you should get a window with a similar message as in the initial error, but this time the window should have a second button that allows you to bypass this message and proceed with starting the installer application. Scroll down to the "Qt Creator" section and simply click on the "load" check field for the "UpdateInfo" plugin in order to deactivate it like shown above. 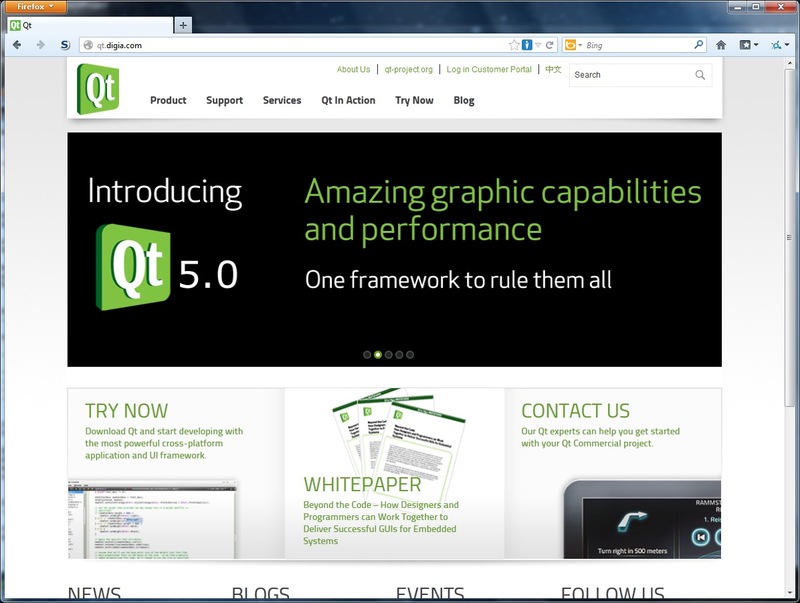 After closing the dialog and restarting Qt Creator, the error message should not appear any longer.